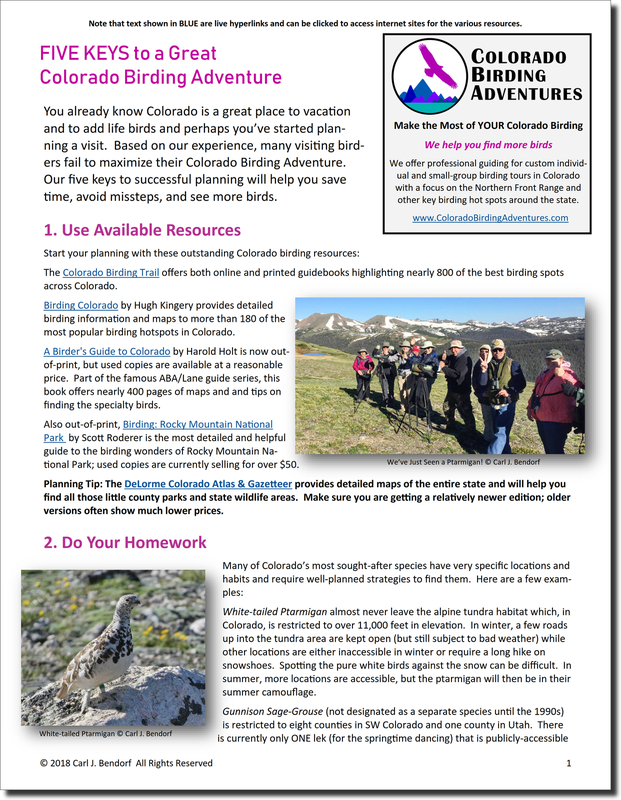 Are you thinking about a birding trip to Colorado? Perhaps you've put together a list of the birds you'd like to see and started studying your field guide. But what are some of the factors involved in successful trip planning that you can't find in a field guide?